Babies of mothers living in greener areas had higher birth weights in a new study—regardless of air quality, walkability, and other factors. 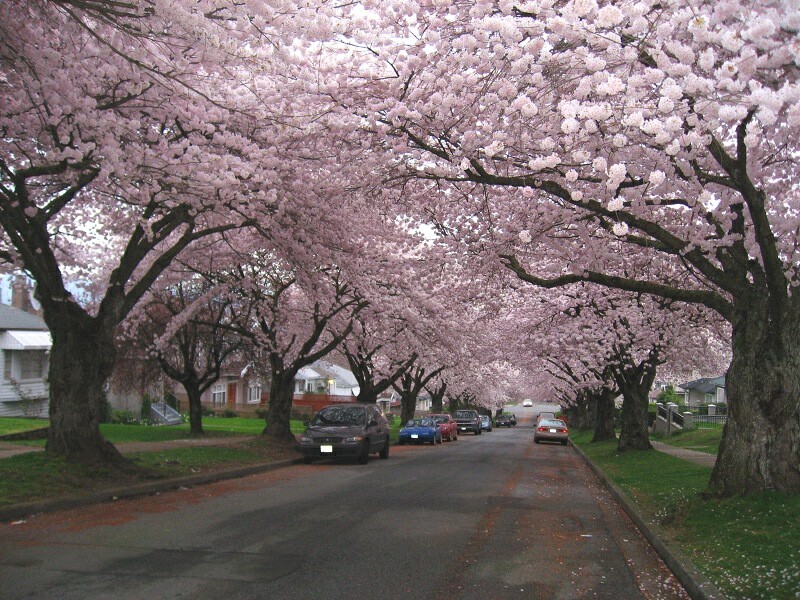 Tree-covered areas like this one in Vancouver, B.C., correlated with healthier newborns in a new study. Photo: Wendy Cutler. License: CC BY 2.0. The world’s newborns have it made in the shade. A new study shows positive birth outcomes when mothers live in verdant neighborhoods, building on mounting evidence that trees and other vegetation have far-reaching, if poorly understood, positive health implications (for another example, see Tired Brain? Head for the Trees). “Residential Greenness and Birth Outcomes: Evaluating the Influence of Spatially Correlated Built-Environment Factors,” published in Environmental Health Perspectives, found a strong correlation between the weights of nearly 65,000 babies born over a three-year period in Vancouver, British Columbia, and the amount of greenery near their birth mothers’ homes. Mothers from more verdant neighborhoods on average gave birth to babies with significantly higher birth weights; they were also significantly less likely to have premature births or babies with low gestational weights. Low birth weight is connected to a variety of health problems early in life as well as higher risk for obesity and Type 2 diabetes later in life. Researchers said the correlation between greenery and birth weight remained significant even when adjusted for other factors, including neighborhood income, air quality, walkability, noise levels, and proximity to parks.